Description of item for sale. 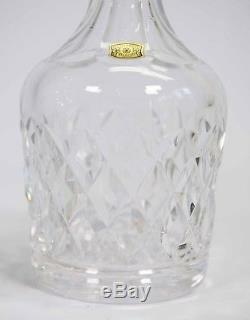 This crystal Decanter is from Belgium and dates to the late 1900`s. 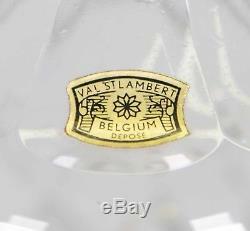 They are made by Val Saint Lambert, a Belgian company making high quality crystal and glass items. These are both from the same production, but of a different period. The smaller one, with big logo is older than the other one. 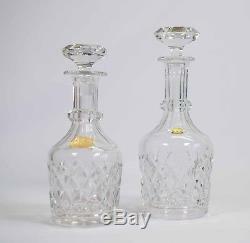 Both have their lids present and also have the signature engraved in the crystal on the base. 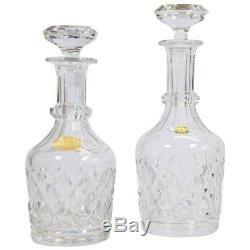 This is the prefect addition for your bar to display your liquor in a high quality crystal decanter. They are washed, clean and odor free. " Tall, 4.35" Diameter and. 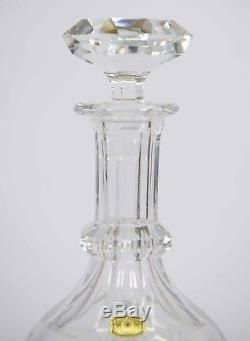 The item "Vintage Lead Crystal Decanter with Cut Glass Made by Val Saint Lambert (VSL)" is in sale since Friday, May 18, 2018. This item is in the category "Pottery & Glass\Glass\Glassware\Contemporary Glass\Crystal". 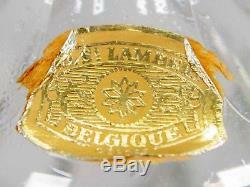 The seller is "antiquesbelgium" and is located in Wingene. This item can be shipped worldwide.